Sometimes doing nothing can make us more productive. The ants seem to know that their narrow tunnels limit their numbers. Like a traffic jam, ant congestion would slow progress. So when an ant arrives, she sizes up the situation. If she can freely move around, she stays. But if it’s tough to maneuver, she leaves. Meanwhile, like busy bees (sorry), a small group of ants complete the task. 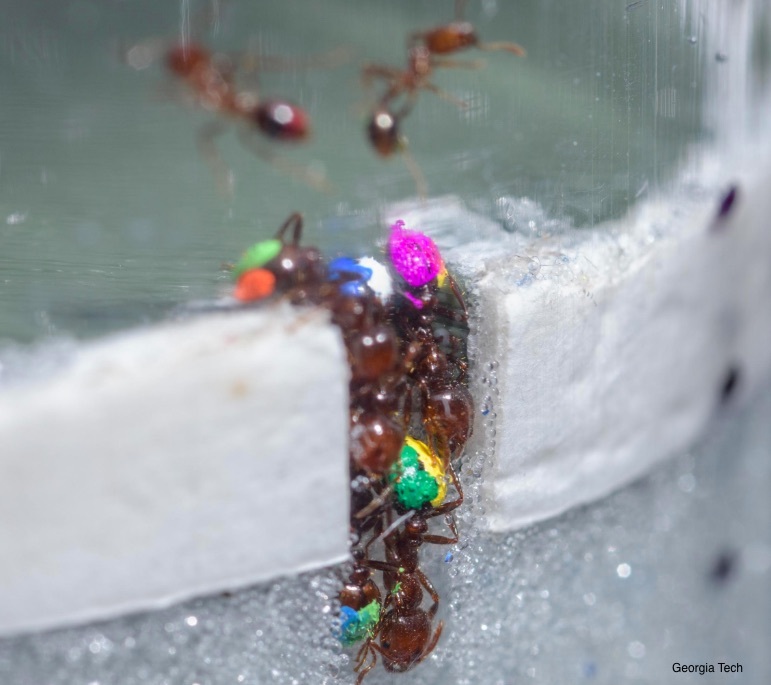 Scientists from Georgia Tech who studied the ants calculated that when 30% dig and 70% are idle, they accomplish the most. Going up and down, some of the ants remained active for five hours. And no, the ants that remained were not the only hard workers. When they were removed, other equally zealous (previously idle) ants took their place. At this point you might wonder why they don’t just dig a wider tunnel so everyone has the room to pitch in. The ants have the answer. Width won’t work because some of the ants slip down the sides. For optimal mobility, they need to be somewhat closer together. Typically describing the limitations of mass production, diminishing returns refers to less extra output. For example, on one acre of land, if, one by one, you add farmers and shovels, at first your productivity will increase. Eventually though, because of crowding, extra output drops and then disappears. You can see that our fire ants know how to avoid diminishing their returns. My sources and more: Thanks to Ben for alerting me to the NY Times article on ant efficiency. But for more on the experiment, this Georgia Tech press release was excellent–especially because the academic paper was gated. Finally, if you want more on fire ant colonies, do go here and here. Please note that several sentences from Our Bottom Line were previously published in a past econlife post. Next ArticleWhy Aretha Franklin Should Have Earned More From "Respect"